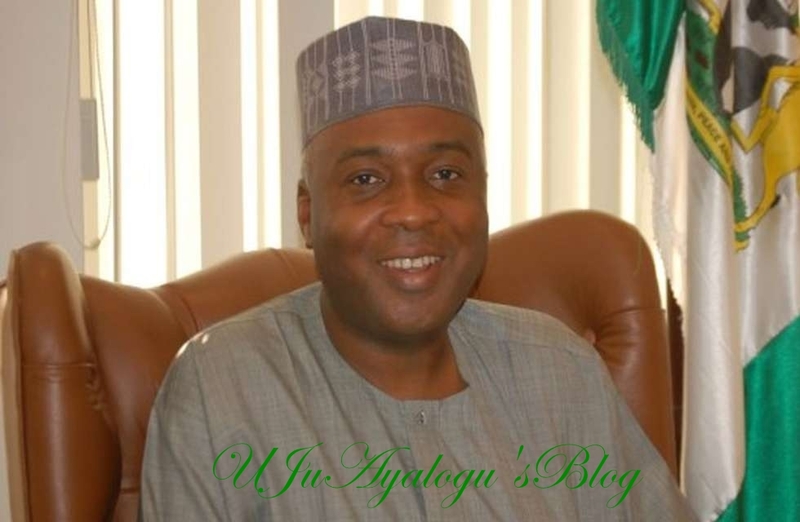 Abuja (Ujuayalogu'sBlog) – Senate President Dr. Bukola Saraki has replied a statement credited to the All Progressives Congress Acting National Publicity Secretary, saying that he will not be distracted by the antics of an upstart who lives in Abuja but waits to sign press statements composed for him from Lagos. Stressing that when his masters show their face, they will debate all the issues they have raised and the ones they may wish to even concoct. According to the statement signed by Special Adviser (Media and Publicity) to the President of the Senate, Yusuph Olaniyonu, Dr. Saraki does not have any credibility issues except the ones concocted by these putative demagogues to whom the Senate President has become a nightmare. Meanwhile, Mr. Yekinni Nabena should know by now that many people in the media believe he is a robot and has no face. Here is an opportunity for him to come out of his hiding and come on a national television to debate all the issues he has raised with one of the aides of the Senate President. We hope he will take up this challenge and stop behaving like a masquerade. He is free to choose any independent TV station of his choice. Sundiata Post recalls that the APC had on Wednesday while reacting to Saraki’s declaration of interest to contest for president in 2019, accused him of having many issues that border on his integrity, antecedents, competence and capability to preside over the affairs of the country.